Several outlets have reported on Moscow's plans to build Project 23000E Shtorm, 'the world's largest (prospective) aircraft carrier' which, according to The Independent, will "compete with the US." But as military analyst Oleg Ponomarhenko pointed out, the Shtorm's certainly not going to be built merely to engage in muscle-flexing with the US. Earlier this month, Russia Beyond the Headlines published an analysis on Russia's prospective new supercarrier, Shtorm-class. 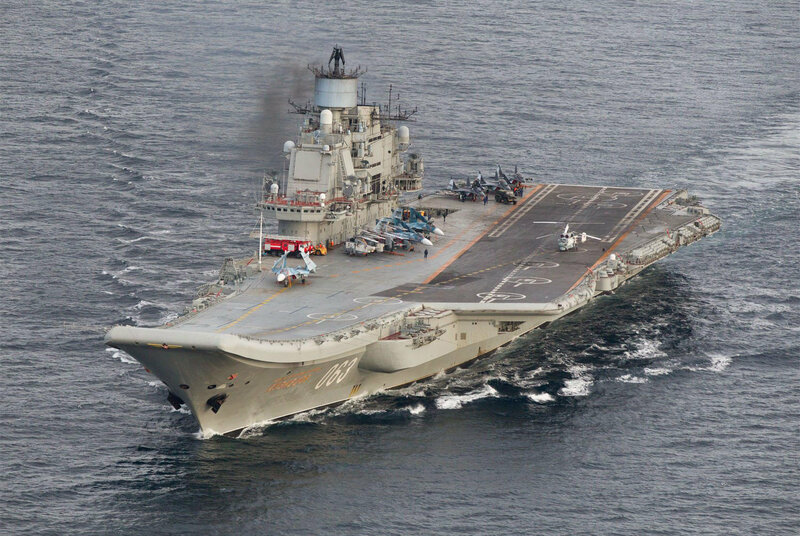 A Russian defense industry source told RBTH that Russia needs a new carrier in light of the limited capabilities of Russia's existing carrier – the Admiral Kuznetsov, particularly compared with US carriers. Another source emphasized that the new carrier would help Russia defend its geopolitical interests. Estimates on the prospective vessel's costs vary drastically, ranging from $6.15 to $17.5 billion. The supercarrier, expected to be launched anywhere between 2025-2030, will be nuclear powered, have a 100,000 ton displacement, a 4,000-man crew, and modern launch systems for its 90 carrier-based fighters. It is also expected to be equipped with the latest defense systems, including the S-500 air defense platform. 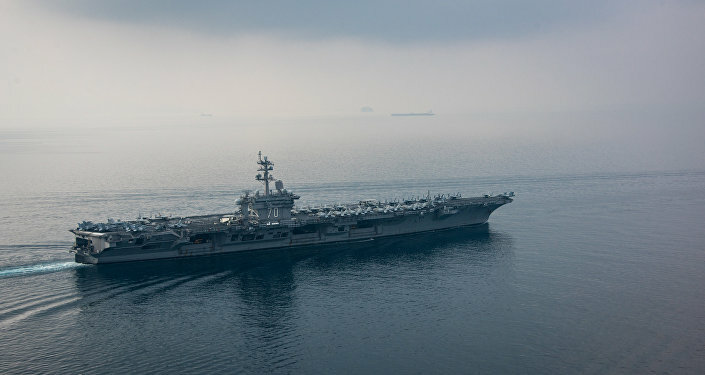 Russian experts made sure to tell RBTH that Russia has no intention of competing with the US for global naval supremacy, adding that one to two Shtorm-class carriers may end up getting built, a far cry from the US Navy's 19. 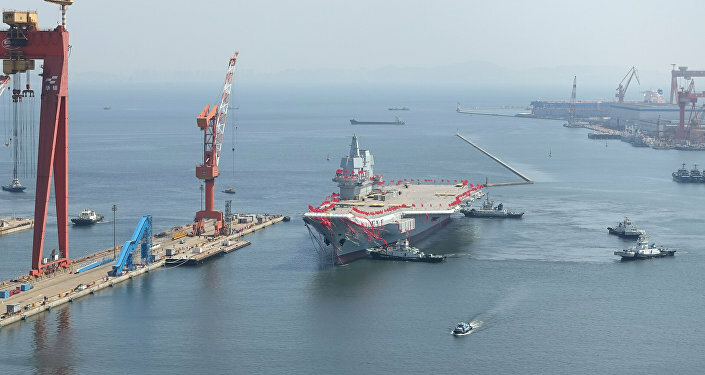 Nevertheless, English-language media, particularly the UK's The Independent and The Daily Mail, attempted to shift the tone of RBTH's analysis, titling their pieces "Russia building 'world's biggest aircraft carrier' to compete with US," and "Russia plans to build the 'world's largest aircraft carrier'…to take on the US," respectively. The Independent pointed out that the Russian vessel's specifications look mighty similar to those of the US's Nimitz-class, and joked that the new Russian carrier may be so largest that it will need its own zip code. Asked to comment, Oleg Ponomarenko, an expert at the Moscow-based Center for Strategic Studies, told Radio Sputnik that Russia has no intention of competing with the US, and will use the new carrier, if it is built, only to defend Russia's interests. "To say that we're going to 'compete' with the Americans is incorrect," the analyst stressed. "If it is judged that we need one or two such ships, they will be built regardless of whether or not we want to challenge the Americans." Furthermore, it would be difficult to even imagine Russia needing a fleet of carriers as large as that of the US, given that Moscow has not voiced any ambitions to project power all across the globe since the collapse of the Soviet Union. As far the suggestion that the Shtorm project looks similar to the Nimitz-class, Ponomarenko stressed that this has to do with modern engineering design decisions, not any attempt to 'copy' the US. "Look, this is a floating airfield of a certain size [designed for] an air group of certain size. It does look similar to the American concept. What is there to be ashamed of in this, if it is rational?" In any case, the expert admitted that the new carrier really would dramatically expand Russia's power projection capabilities. "For example, we can use the aircraft carrier in a situation where the airbase at Hmeymim becomes inaccessible. In such a case a large aircraft carrier would simply be a must. It could replace the air group based at Hmeymim." Finally, Ponomarenko noted that Russia's Admiral Kuznetsov, the Russian Navy's only serving carrier, was developed with different tasks in mind, and thus is not capable of the same kinds of power projection missions as current US and prospective Russian designs. "The issue with the Admiral Kuznetsov is not that it's old or outdated, but with its combat capabilities. 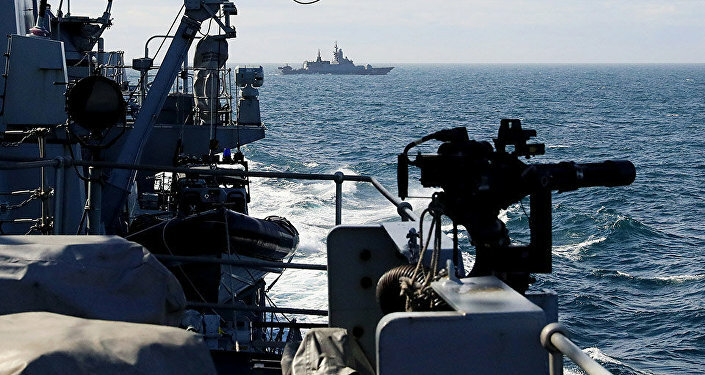 The ship is a cruiser with a small air group of about 20-30 aircraft; this is not enough for intensive combat operations," the expert stressed. Indeed, the Russian Navy officially categorizes the Admiral Kuznetsov as a heavy aircraft-carrying cruiser, not an aircraft carrier. Russian aircraft carrier Admiral Kuznetsov in international waters off the coast of Northern Norway on October 17, 2016. Last year, Valeri Polovinkin, an advisor to the general director of the Krylov State Research Center, which co-designed the Shtorm project, told reporters that it will take 7-10 years to see the project through from the planning phase to completion, with its weapons systems taking even longer — up to 15 years, to develop. The preliminary design that has been created incorporates the latest in advanced hydrodynamics, energy use, etc. As for its complement of carrier-based fighters, the Shtorm is expected to field MiG-29K jets, along with a naval version of the T-50 fifth generation multirole fighter. The ship will also carry AWACS aircraft and the trusty Ka-27 naval helicopters. At present, it remains a mystery whether Russia will go ahead with the construction of the Shtorm project. Experts remain divided on whether Russia, a land-based power, needs or can afford such extravagant ships, particularly since Moscow has shown no ambitions to engage in the invasion or toppling of governments in other countries, like Iraq in 2003 or Libya in 2011, which large carriers are ideally-suited for.